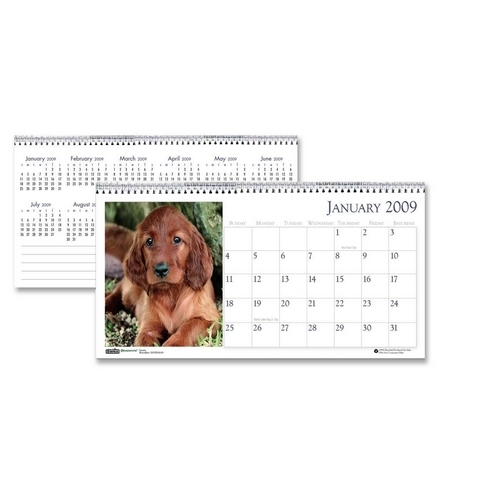 Media Size: 8.50" x 4.50"
Eco-friendly desktop January through December tent calendar features a different full-color photograph and 12 month reference calendar on each months page. 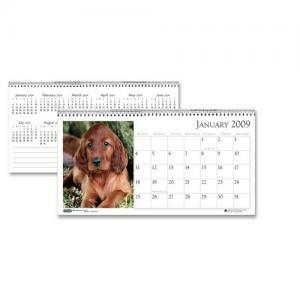 Calendar stands on desktop and is spiral bound at the top for easy turning to future and past months. Made with 100% recycled paper that contains 100% post-consumer material. Printed with environmentally preferable soy ink. Manufacturer donates 5% of its profits to organizations that help preserve the environment.